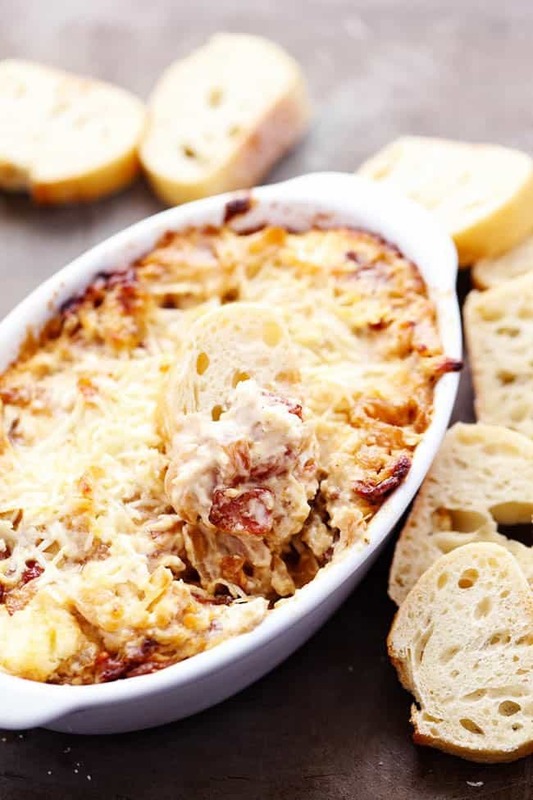 Delicious and sweet caramelized onions inside this incredible creamy and cheesy dip! 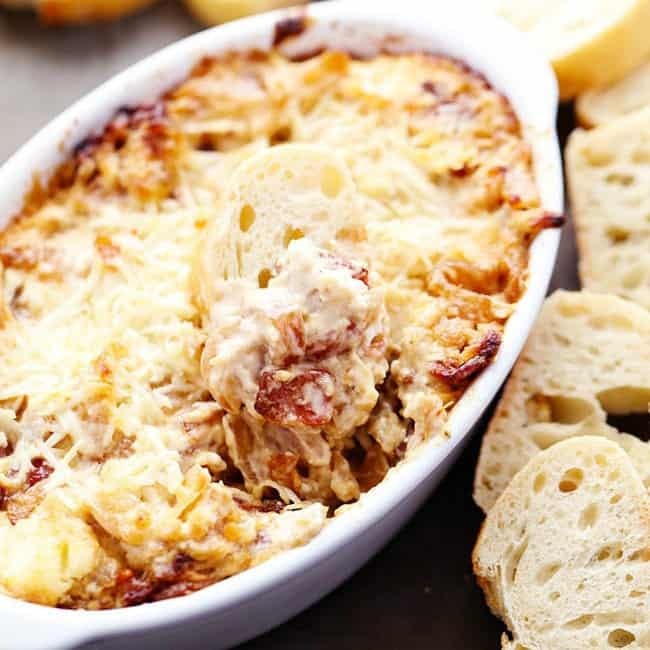 With the added bacon this dip is sure to be a huge hit at your next party! I am not a huge lover of onions to be quite honest with you. But I love the flavor! Caramelized onions are seriously one of my favorite ways to eat onions. Even if you aren’t a huge onion lover, you have got to try them caramelized. It takes the bite out of the onion and makes them sweet with a smoky flavor. It is uh-mazing. Now imagine these caramelized onions in a dip. With cream cheese, mayonnaise, and shredded Romano cheese. Oh and don’t forget the bacon. The flavors in this dip are so delicious and addicting I couldn’t seem to get enough! The caramelized onions do take a little time and patience. As soon as they turn that golden brown color and caramelize they are well worth the wait. 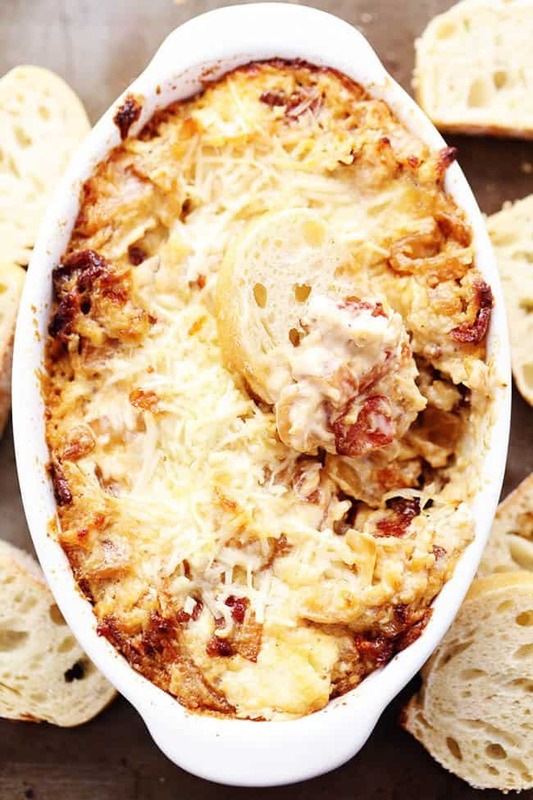 They are the perfect addition to this creamy and cheesy dip. 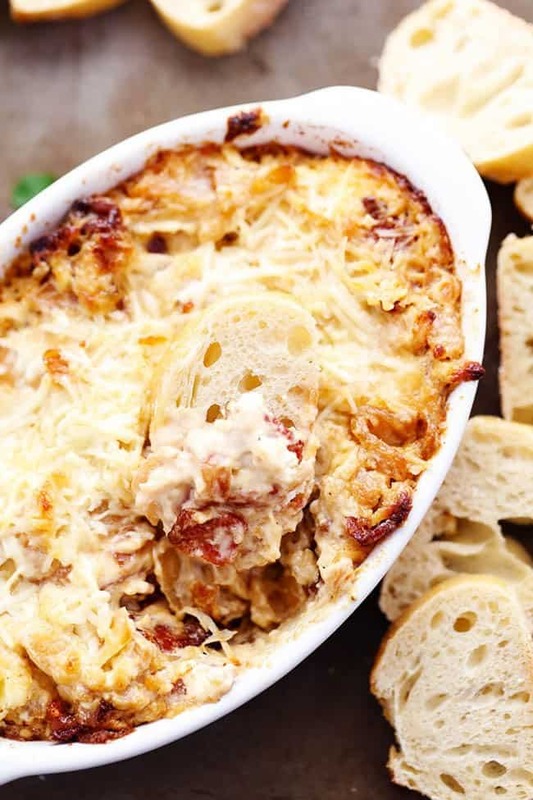 It kind of reminded me of all the things that I love about french onion soup inside of a dip! This is sure to be a hit at your next party! It is definitely on the menu at our house for the big Super Bowl game. It is amazing and I know that you will love it too!! In a medium sized skillet add oil, onions, and water. Cook over medium high heat until browned and caramelized adding more water as needed. 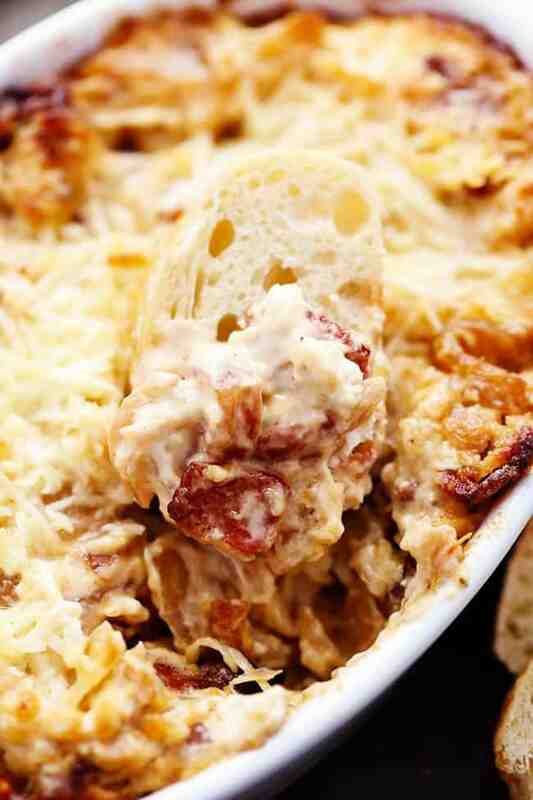 Combine onions, cream cheese, mayonnaise, ½ cup grated cheese and bacon. Spread into a baking dish and bake in a preheated 350 degree oven for about 20-30 minutes. Or until top is nicely golden brown. oh yummy!! This does look really good! How do you slice your onions? Do you slice them in rings, or in a more manageable style. It probably doesn’t matter, but in a dip, I would think it best to at least quarter the onions before slicing. This looks so good!! Do you mean Romano cheese? ?